From October 1998 Self-employed. 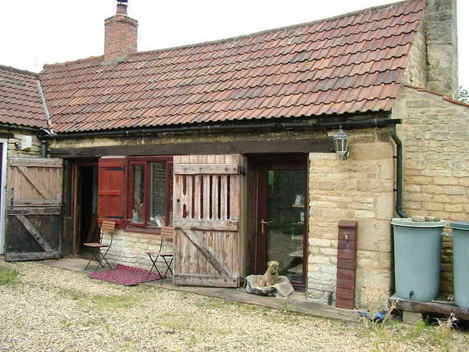 Own workshop near the Cambridgeshire/Linclonshire border. 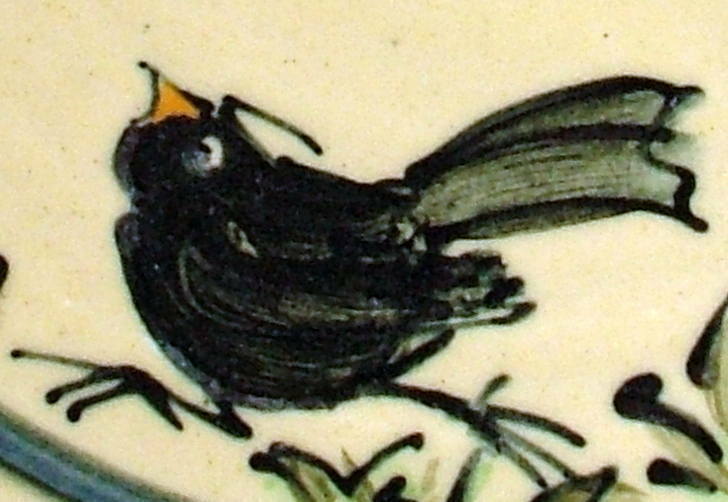 The work is slip decorated earthenware, mainly domesticware but also some one-off pieces. Much of my craft has been learnt in France so I am greatly influences by French ceramics, both old and contempory, handmade and manufactured. 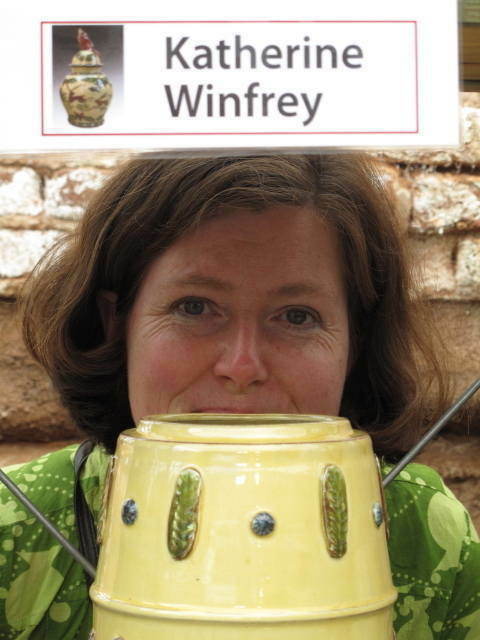 I am also inspired by various folk arts from around the world, architectural twiddles, all forms of ceramics, old English slipware and and the natural world. 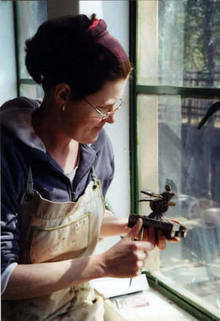 The work is made with Valentines' grogged red earthenware clay and is oven and dishwasher safe. It is mainly thrown but some pieces are then altered and hand built elements applied where fitting. The pots are covered in an off-white slip of Hyplas 71 ball clay and then decorated with coloured slips with a combination of slip trailing, brush work and sgraffito. After a biscuit firing at 1000°C the pots are glazed by dipping and pouring and then fired to cone 03 with a half hour soak at the end. Form and function are important but I must also enjoy making the piece, the owner must enjoy using it and it must make us both smile. 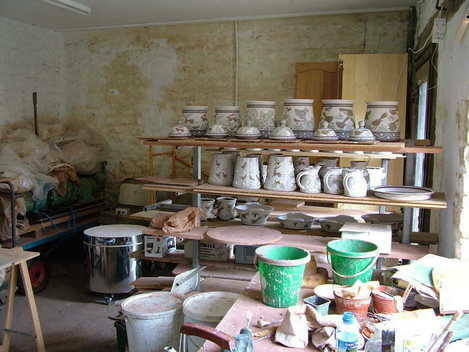 May 2011 Originated and organised Stamford's 1st Ceramic Market. July 2014 Winner of Potfest prize, Potfest in the Park, Cumbria.